Becoming the first President of Performing Musicians Association of Nigeria, PMAN, came by chance. I did not plan it neither was it part of my dream. But I have always been bothered by the lack of unity among musicians. My experience on how musicians relate to one another is frightening. If they are not fighting among themselves, their fans will be fighting because of them. Unfortunately, there was no platform to resolve such issues or speak with one voice. 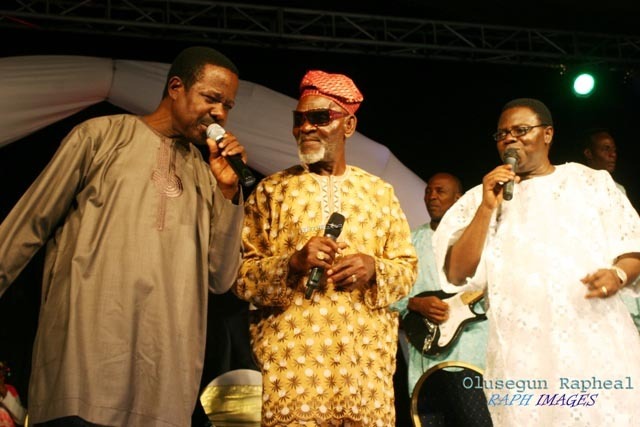 The only one that existed – Nigerian Musicians Union – had long ceased to be. That was why at one point; Bobby Benson formed his own called, Musicians’ Foundation. Then Radio, Television and Theatre Workers Union, RATTAWU was established. I supported all these efforts by playing free anytime they wanted to raise money maybe in Lagos, Ibadan or anywhere else. But musicians were still not united; each one doing his or her own thing. Then Mrs. Christy Essien-Igbokwe (of blessed memory) and her husband, Edwin, wrote to all musicians to meet so as to fight piracy. It was 1982, I think. By that time, I had just opened Ariya Nite Club. We all met there. 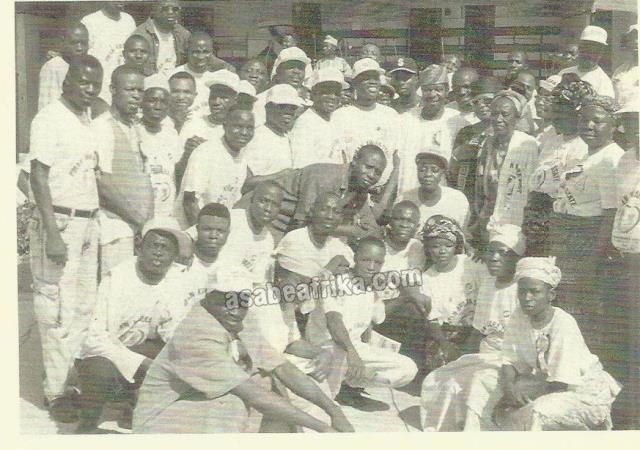 It was the first time I saw musicians all over Nigeria together under one roof. We were so lucky. Nearly every media house was represented. We wanted to stage a walk to government House. Somebody then said, since all of us are here why don’t we form an association? That, it was said, was the only way we can speak with one voice. From the bottom of my heart that was what I wanted. We then went upstairs. After the press conference the issue was raised again and accepted. But then what do we call it? All sorts of names came up. Finally, we settled for Performing Musicians Association of Nigeria, PMAN. We were almost 50, in that small room. Now, coming to the logo, it was Gugbemi Amas who designed it. He just drew it. It is the logo they are still using today. 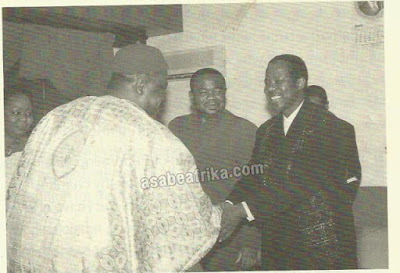 It then came to choosing the officials – President, vice President, General Secretary and others. That was how my name came up. I said no, I’m still performing. I want somebody who will have the time. They all voted. I was the only one who voted for another person! Oliver de Coque was the returning Officer. They chose Christy as the Treasurer. 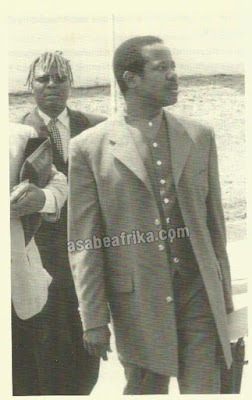 Emma Ogosi was General Secretary. There was nothing I could do but to accept Sunny Okosuns as Vice President. What I did was to quickly find a place in Ikeja as secretariat. We rented a whole floor. Then I removed all the chairs that I used in my night club to the place and also bought new ones to furnish the place. The association was not registered yet. But we now had an association with one voice. As protem president, I went from one musician to the other to join hands with us. I would go to Dr. Victor Olaiya, prostrate on the ground and say, “please, let’s do this thing together”. I would go to I.K. Dairo, everybody. Some of them would say ‘no problem’. Others would say, “We don’t belong to you, we have our Musicians Union”. At a time we started arguing with I.K Dairo and Zeal Onyia. 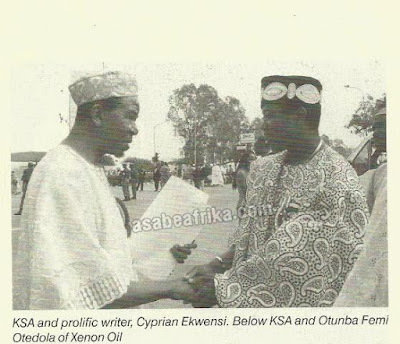 Zeal Onyia was working with Radio Nigeria and was with RATTAWU. I.K. Dairo was an independent musician, so we asked, how can you belong to RATTAWU? At the end of the day, there was nothing I could do. I was protem president for two years. The association had nothing. No money, nothing. I was the one who paid rent for the secretariat. Nobody wanted to contribute when it came to the issue of money. How much was the contribution? N50! The challenge outside was even more. Anywhere we wanted to go to talk about PMAN, another group would go there and say, “We don’t belong there; they are not authentic Nigerian musicians”. 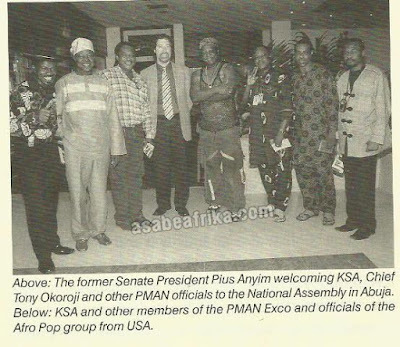 After my tenure, the association was registered but unfortunately it was registered as Performing Musicians Employers Association of Nigeria, PMEAN. Our constitution does not have anywhere it states that it is an employers’ association. It was registered under the Trade Union Act. When they wanted to register it, I wasn’t there. But they registered it under the Trade Union so that they can sue and be sued whereas an association has no such power. Even though I was against it at least I was happy that we had been registered. It was not my wish to go back to PMAN as president. It was the Western Zone members that persuaded me to run for the position. And it took them eight years to convince me. Each time they came, my question always was, have you told somebody else because I don’t want to step on anybody’s shoes? The last time when the pressure became too much for me to bear I told them to talk to Ade Olusayo, who had already been tipped for the position. They went and came back to inform me that he was no longer willing to run. Once convinced to return, I knew I had to put good structures on the ground. I wanted to leave behind legacies that will benefit musicians all over the country. The first was to ensure that the fight against piracy is taken seriously and is passed into law. Another thing was to make sure PMAN gets a radio station, television station and a recording company. I spent about half a million naira on professionals to write feasibility studies on these. I also approached then Military Administrator of Lagos Stage, Col. Olagunsonye Oyinlola who promised to help and his successor, Col. Buba Marwa, who said he would look into it. I was able to get PMAN an e-mail address, website and link to other music bodies across the world. But what worried me the most was the poor state of PMAN secretariat. Everything I left behind 18 years ago was what I met. My first day in office, I saw musicians protesting and smashing the picture of the former president. When I asked what was going on, Geraldo Pino said, “ah, Mr. President, come, come, come. Enter your office, we will sort it out”. I entered and I was shocked to notice that the air-conditioner was not working; the door and furniture were in bad shape. I was disappointed. Then Geraldo Pino entered and told me the musicians were protesting because they had not been given forty thousand naira due the delegates who came to Lagos from other states. I asked him pay them with promise to reimburse him. He did and they all left. I then issued directives to my managers there and then to go and get metal furniture for the secretariat before the end of that day and begin painting the whole place before the next day. By 3.00pm, they started painting. That evening, the furniture arrived. And by the next morning, the office had a new look. I now said, by the grace of God, in the next 100 days we will get a new place. And it happened. The renovation, the decoration and furnishing were carried out by me. I made sure the treasurer wrote down everything as I was spending. Half of the Lagos State Secretariat building was also paid for by me because they said they did not have enough money. I paid for the studio there and told them that when it starts to make money, they can pay back. I spent not less than N15 million on PMAN as president. I was doing all these because I wanted to improve the image of the musicians. I believe a musician should be able to stand side by side with any other professional. But if I expected commendation from my colleagues, I was wrong! I organized the Patrons Dinner to raise money for PMAN so that more can be done for musicians. About five governors came. 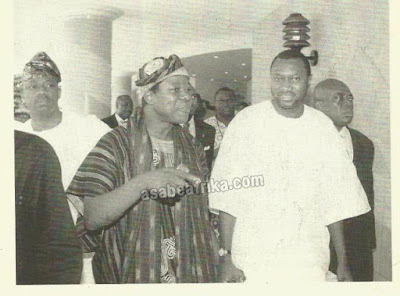 One gave us N2 million; even senators did not have a place to seat. The venue was filled to capacity. It was the biggest event I have ever witnessed in PMAN’s history. I was having in mind that we would have between N5 million to N10 million from the donations, a week after, I asked the treasurer to show me the accounts. And I saw only N900, 000 plus. I asked, “Is this the account?” He said, “Yes”. I told him to wait and then went to the bank where I got a full picture of the donations. Then I called the first vice president, may his soul rest in peace, Chief Roland Onwuama, and said: “Mr. Vice, what’s going on?” He replied, “Na so I see am o” “I said. “Na so you see what?’ Let’s meet”. I was now shown records of expenditure even for contracts awarded without my consent.  I was shocked: N900, 000 plus; N800, 000 plus; N500, 000 plus so on and so on. I now said for any expenditure above N10, 000. I must sign the cheque. At a time, they now ganged up against me. We went to Kogi State and they said the governor gave us N2 million which I did not declare to members. I asked N2 million? We went with two cars and we came back with two cars. Everybody’s luggage was intact. Where would I keep N2 million? This was what triggered a lot of things. We went to our patron Dr. Bode Olajumoke to iron things out and I swore in the name of God that I never took any money from the governor and that when time comes truth will prevail. I was desperate to clear my name and I wrote to the governor. But the letter was never sent from the PMAN office. It is there up till today. I made a mistake by not sending it from outside the office. In any case, if I went outside to do it, I would have been accused of meeting the governor to sort things out. 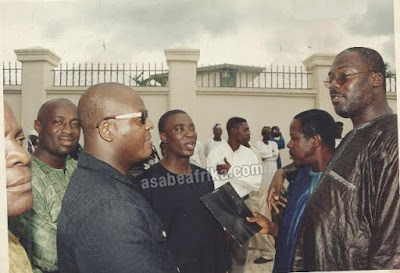 After some years, Kenny George, my then second vice president, called a press conference where he admitted that they lied against me, that I never received any money from the governor, that they made up the story. 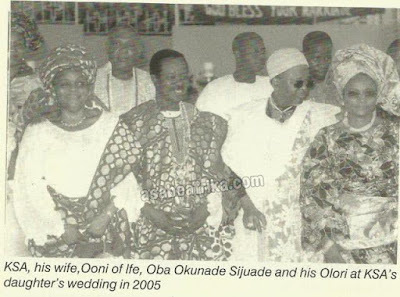 I was also reported to Dr. Olajumoke, who was then our patron. He had been told that the money he donated during the Patron’s Nite was not in the association’s account, meaning that I had cornered it. I met Olajumoke and said as a lawyer, you can find out from your bank where any cheque you issued has gone. I also reminded him that I was not PMAN to which he addressed the cheque. That way, I explained, no bank would conduct that kind of transaction. If there is a field I like to avoid, it is that of politics. I hate politics, but it seems there is no way of getting away from it in our various fields of endeavor. Partisan politics is unappealing to me. As an entertainer, it would have been inexpedient to join partisan politics, even if I wanted to. The politics with which I am familiar is the politics of the Performing Musicians Association of Nigeria (PMAN). The PMAN is a body that should be respected, but that is not the case because of impure motives and interests of some musicians elected to head the association. I was glad because this was something I did not lobby for or planned for. Like other awards in recognition of my contribution to music, it just came. Like other awards, I thought the presentation would be in the form of a plaque or certificate. But no, this was different. The organizers had a grand idea of how to honor their king of music. 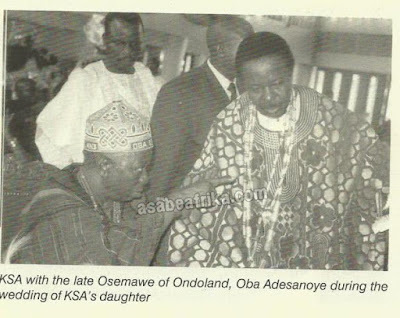 And who else but the respected first class traditional ruler, the Alaafin of Oyo, Oba Lamidi Adeyemi, that was chosen to handle the ceremony. I did not know how serious they took it until I went to Ibadan and the Alaafin crowned me with a King’s crown! I have been keeping the crown since then. And so the title, King was added to my name. I still feel grateful to everybody who participated in the event – the organizers and voters. I thank my fans, band boys and my family. It was not something that came overnight. The public fully participated in it. It was when it was all over I realized it was not an easy thing. KSA...Loves to see unity in the Nigerian Music family (With him is Fatai Rolling Dollars and Commander Ebenezer Obey). It took about two months of collation of votes and sorting them out before they could reach a decision. I don’t know why the organizers have not come up with another edition since then. They call me the king of music and I don’t rule over any town, city or state. I’m ruling the world of music which is okay by me. 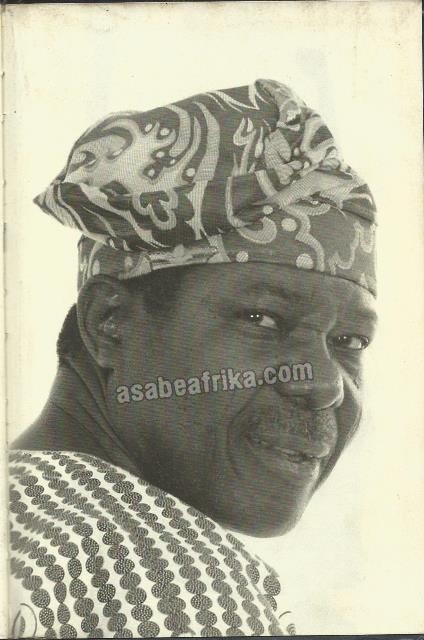 Even my Oba calls me King Sunny Ade. It is always King Sunny Ade, leader of African Beats; King Sunny Ade, Golden Mercury of Africa or King Sunny Ade and his band. It’s not King Sunny Ade of any town or city. That’s the difference. The challenge of the title is not a thing that I can describe. You can only pray and work harder because, like other awards that I got, it means working harder. At the initial stage, the way some musicians took the event bothered me. But after some days, I just let it go because looking back I did not put myself there. I was called. 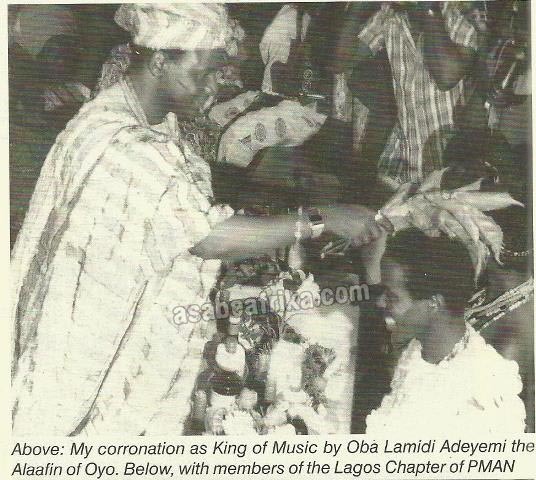 I was crowned by a First Class Oba. I was given a staff of office as the King of Music and I’m a musician, who is still performing. So whatever they said at that time did not bother me.